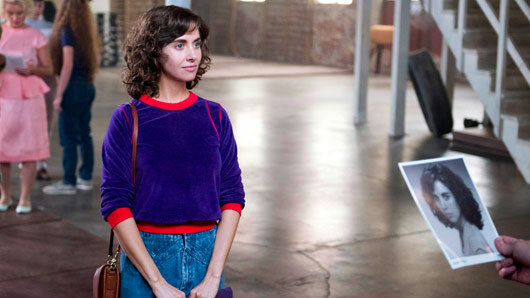 An exciting new comedy drama is landing on Netflix this June and if you’re all about female power then we’d definitely recommend giving this series a go. Netflix introduces GLOW to its audiences next month, a brand new series about women’s wrestling in the late 1980s. The show gives viewers and insight into the obstacles women faced during a period when female fighting was seen as unconventional. The initials standing for “Gorgeous Ladies of Wrestling”, GLOW is named after the 1986-1992 women’s wrestling organisation. Set in Los Angeles, the drama centres around Ruth Wilder, a struggling actress whose lack of cash leads her to a rather unusual audition for a fledgling professional wrestling promotion. As she progresses in her new-found career, Ruth finds herself rising to fame just how she had always wanted and, more importantly, helping in the fight towards equality for women in the sport. From the makers of Orange is the New Black, GLOW will run for 10 episodes for the first series and will be available to watch on Netflix from June 23, 2017. The show is based on the professional women’s wrestling syndicated TV series that existed in the ’80s and, like the original, will feature “big hair and body slams”. GLOW will be available to view on Netflix June 23, 2017.